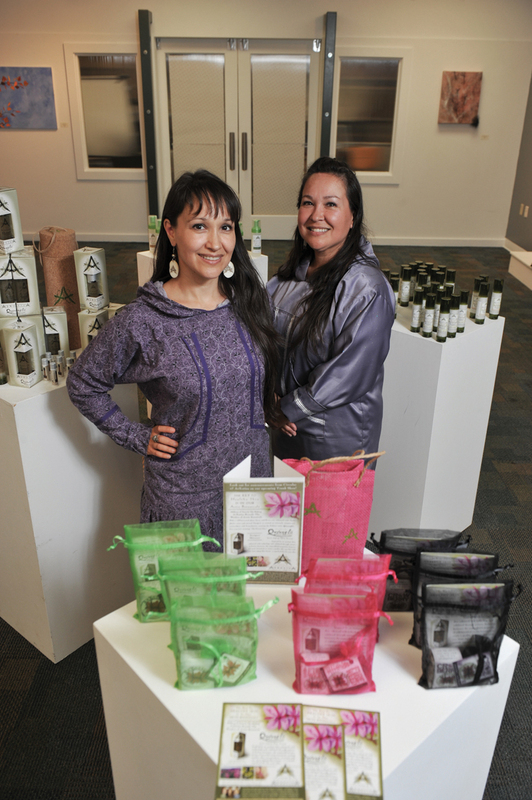 If three Sparck sisters from Bethel fulfill their ambition to grow their small ArXotica Inc. into a large skin and health care products enterprise, a lot of credit should goes to the Alaska Federation of Natives “Marketplace” business competition. That’s something the sisters — Michelle, Amy and Cika — readily acknowledge. In 2006, the Sparcks landed grants for critical startup cash through the AFN Marketplace, where entrepreneurs, mostly from rural areas, present their ideas and business plans to a panel of judges. Since then it’s been a slow but gradual uphill grind for the sisters but they feel they’ve now proved themselves and their products and carved out a niche, small though it is, for a unique Alaska product. Since securing their seed money through AFN and now with a product line, the Sparcks have tried to return the favor by becoming regular exhibitors at the federation’s annual convention. In fact, the convention has proved to be a place where new products can be tested and launched, and that will happen again this year at AFN, Michelle said. The three sisters parcel out the responsibilities differently. Cika is a graphic designer and handles the promotion and marketing. Michelle has a background in business consulting and has led the research and development work. Amy has a consulting background and works to put the company into contact with Native American groups. The product is indeed unique: Health products like skin creams that take advantage of the medicinal qualities in Southwest Alaska tundra plants that have long been known to elders in Alaska Native communities in the region. The sisters, who are triplets, grew up in Bethel but their roots are in Chevak, a Cup’ik community of less than 800 people in Western Alaska, where their mother, Lucy, grew up. While growing up the sisters spent summers at Chevak doing a lot of the traditional subsistence work people in the region do at fish camp and picking berries and other plants out on the tundra. “Chevak is a place where people continue to live a traditional subsistence way of life, fishing, hunting and gathering from the land around us,” Michelle said. Those were wonderful days, Cika recalls. “We learned about these plants and how they were used for medicine and skin care and there were a lot of conversations in fish camp as to whether we could somehow make a business out of this. We were always sharing ideas and dreams,” she said. There was a social purpose, too, because if these natural products could be sold the activity could stimulate local income and jobs for people in the villages, Cika said. “But living in an area so remote (as Chevak) isn’t easy, the cost of living is high, and jobs are hard to come by. We hope to be an agent of change, to improve the quality of life and provide opportunities for our people so they no longer have to leave their homeland to find work,” Michelle said. Like a lot of young peoples’ dreams it remained just talk for a long time, and the sisters meanwhile went off to college, careers and starting families, but the idea always lurked in their minds. Enter AFN Marketplace. The idea became a plan when Cika, a graphics designer, was hired by AFN to design the identity-branding and other materials for the first Marketplace competition, and as she did her designs and learned more, the spark reignited. “I got the idea that we could join this contest,” she remembered. Join they did, and win they did — they were among the finalists selected to win a $20,000 startup prize. That began a long journey to research and document the medicinal and healing properties of tundra plants. Elders in the region regularly used the plants but to develop commercial products the Sparcks had to have documentation. “In our backyard, you find hundreds of thousands of acres of tundra bursting with millions of pounds of uncultivated, potent, micronutrient botanicals. 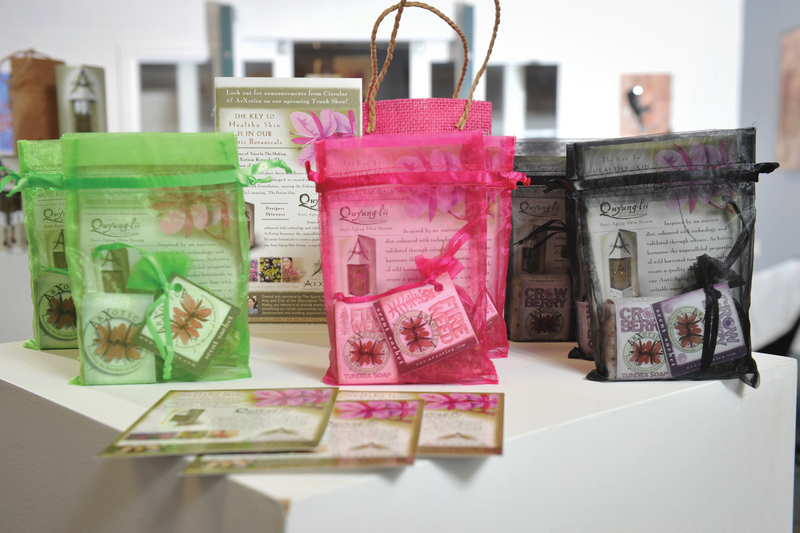 Berries, greens, herbs and flowers bloom with robust sugars and enzymes. The season of harvest is short, but luckily the days are long,” the sisters wrote on the company’s website. The documentation began with the hiring of an ethnobotanist, Tasha Goldberg, who came to the region in 2007 to interview elders and survey the plants and berries with potential. This was followed up with minerals analyses provided by the University of Alaska Fairbanks. “This showed us the minerals and vitamin content,” Michelle said. The sisters then contracted with further botanical investigations done by Olds College, in Canada, which specializes in northern botanicals. Ultimately the sisters wound up at the research and development unit at Brunswick Laboratories in Massachusetts, which was instrumental in measuring the ORAC (Oxygen Radical Absorbance Capacity) of the plants. ORAC value is the measure of antioxidant value of foods and plants. Antioxidants with plant origins help protect and repair damaged skin cells, and basically help slow the aging process, Michelle said. Brunswick Laboratories’ work was significant because it firmly documented the values of the plants, which is information required by manufacturers when the sisters work with them. “The manufacturers need to know that our claims are valid and the products aren’t harmful,” Michelle said. Interestingly, the data also showed the Alaska plants’ nutrient content far higher than the only public published scientific work on ORAC values in natural foods and plants, done by the U.S. Department of Agriculture. Research and development continued through 2011 as the sisters experimented with processing techniques. The dry flakes were then refined into a resin to make high-value products, and with this the sisters worked with large out-of-state firms who specialize in manufacturing bath and beauty products. One company is Suite-K, a Massachusetts-based boutique contract manufacturer of perfumes and other products made with natural ingredients. The refining of 800 pounds of dry, flaked material makes 20 pounds of resin, which is enough for 7,000 units of serum for products. A unit is 1.7 ounces, or 50 milliliters of serum product. The first product the sisters made was a soap, and this came when they realized the plant material left over from the refining process still had nutritional strength. The soaps are now some of the company’s main products. Making the bars of soap were contracted out to local commercial kitchens but Michelle and Cika are now learning the art of doing this work themselves, mixing bases and fragrances of bath and beauty products. The Sparcks have only had one major plant-harvesting year when they gathered 900 pounds of biomass from the tundra, had it flown to Bethel and then Homer to a local firm, Denali Biotechnilogies, which has a special drying unit that company had used in making products from blueberries. The gathered material, however, was enough to make 7,000 units of serum after the manufacturing, which has been enough for the first manufacturing run. “The lessons learned in losses and overages (in the manufacturing) will help us refine the packaging, sizes and output for the future,” Michelle said. “We are now introducing an expanded line of facial moisturizers, body lotion, a foaming facial cleanser, botanical lip balms and a men’s shaving cream, at the AFN convention this year. So far the strategy of exhibiting in booths at events like AFN and selling through a few boutique retail outlets in Alaska and the Lower 48 states have worked for the company, as long as it has operated at a micro-level. But if the Sparcks can nail down larger orders they will have to scale up production. Finding capital to grow, with all the marketing and promotion that entails, has also been an issue, and while the Sparcks have talked with venture capitalists they have been advised to keep the company under their own control, at least for as long as possible. Ensuring that requires maintaining control. That may mean the Sparcks will have to continue to scrape up capital a bit at a time and grow more slowly, but that may be worth it to maintaining the uniqueness of the brand.